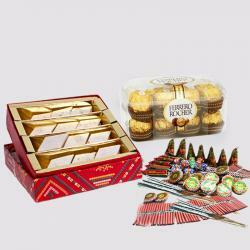 Product Consist : Box of Kaju Katli Sweet (Weight : 500 gms) with 16 Pcs Ferrero Rocher chocolate Box and Pair of Diwali Earthen Diya. 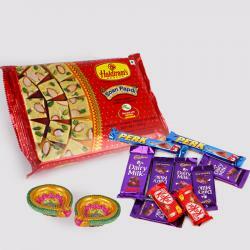 This auspicious Diwali occasion bring all the prosperity and good luck in your dear ones life. 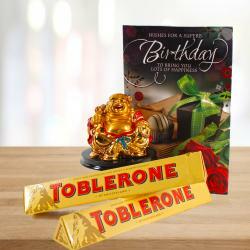 Wish Happy Subh Deepavali with this gift combo it will be a wonderful way to touch your any ones heart. 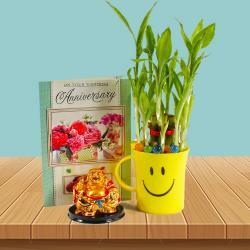 Time has come for all to accept and express by gifting this items, it is an absolutely treasure of this marvelous relationship journey which you have shared with your family members. It is so precious and when an occasion like Diwali and New Year comes along so wish to your colleague for every happiness and pray that it lingers long. Gift this extremely delicious hamper of Kaju Mithai and Rocher Chocolate to your loved ones as an expression of your love on this Festival . 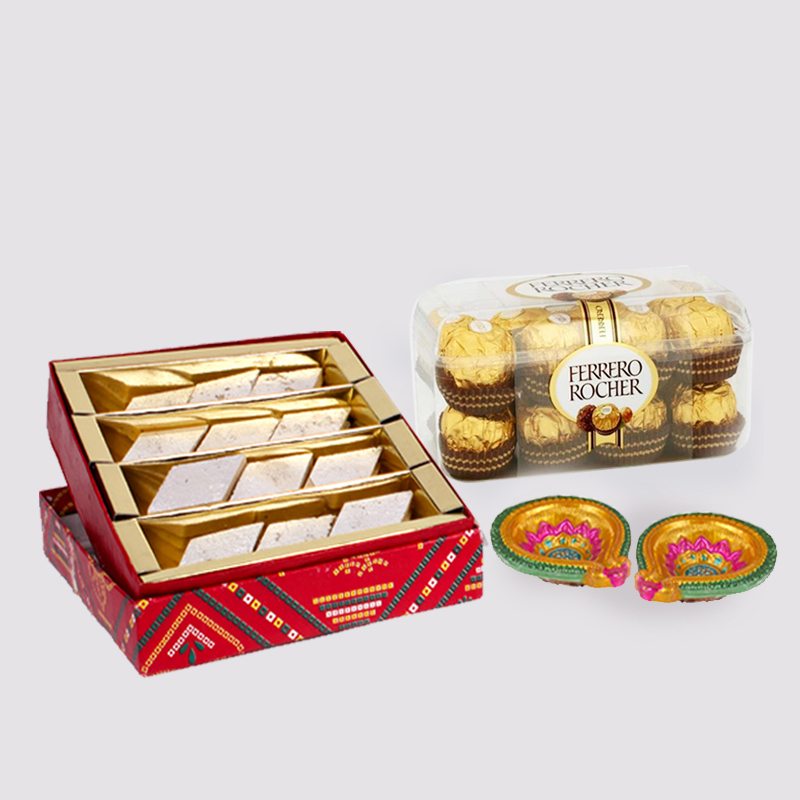 Product includes : Box of Kaju Katli Sweet (Weight : 500 gms), 16 Pcs Ferrero Rocher chocolate Box and Pair of Diwali Earthen Diya.